Oil and Gas Technology Centre chief executive Colette Cohen. A North Sea oil technology boss yesterday challenged industry to make best use of government funding for research and development. 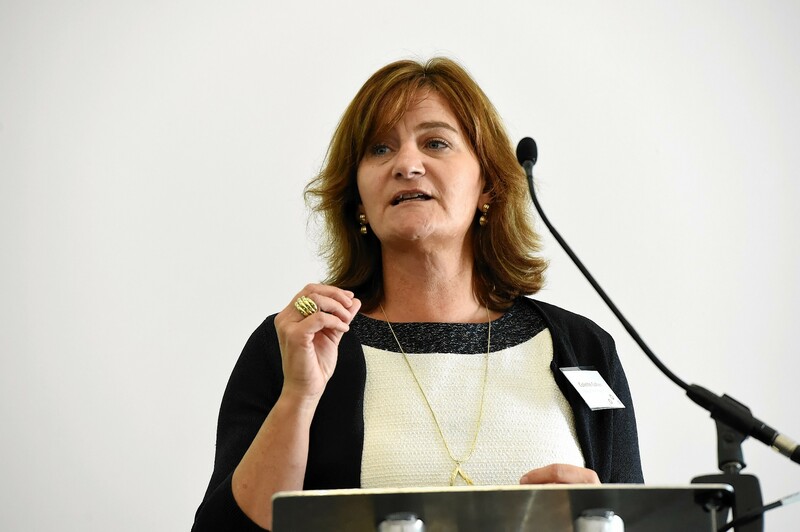 Colette Cohen said the creation of the Oil and Gas Technology Centre (OGTC) was a huge opportunity for the North Sea sector to prepare itself for the future. The OGTC will receive £180million through the Aberdeen City Region Deal for investing in the development and deployment of new products and processes that can reduce costs. The Aberdeen-based centre will launch next week. The transfer of the first £4million of funds from the city deal with the UK and Scottish governments was announced in November. Ms Cohen, who has been the centre’s chief executive since September, said the money on offer from government was “peanuts” compared with the sums other industries had received. But Ms Cohen was not suggesting the sector was being treated unfairly by the authorities. Speaking at Subsea Expo 2017 at the Aberdeen Exhibition and Conference Centre, Ms Cohen said: “I would say that compared with other industries, and we are quite a heavy industry, £180million from the government is actually peanuts versus what they give to other industries. “But they (government) start with this kind of number with most other industries until those other industries prove that they can come together to trial and deploy technology and that they would align. Ms Cohen said industry was in a different position compared to previous eras when it was forced to adjust to tough economic conditions and reduce costs. She said that, for the first time ever, industry had a unified voice through the Technology Leadership Board, as well as a strong regulator that was raising expectations about how the sector behaves and delivers. She also said the city region deal represented the first time government had given the oil and gas industry £180million to spend on technology. Ms Cohen was part of a panel assembled to talk about the North Sea’s 350 “small pools”, which contain more than 3 billion barrels of oil but are not being exploited because operators consider them “marginal”. Ms Cohen said she hoped that in two years, industry would be on the road to developing its first cluster of smaller discoveries.